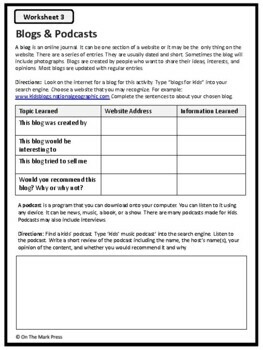 Digital media refers to all media that is created, stored, or shared on an electronic device. 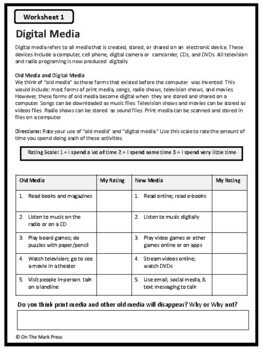 Your students will rate old media and digital media and search for three kids’ websites and chart their findings, they will look on the internet for a blog and podcast for another activity. 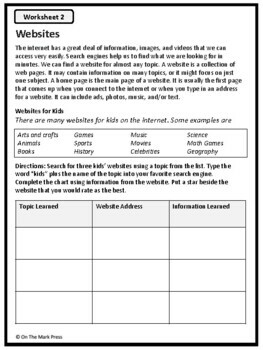 Emails and text messages are two forms of communication used frequently; in this activity your class will write a pretend email to a friend. 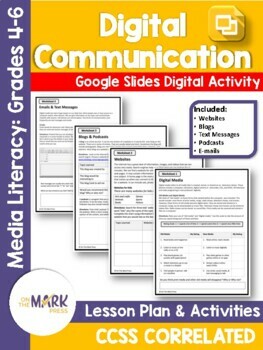 Common Core is met by expressing preferences for different media, researching websites for children, researching a podcast for children and writing an email.